THE ART: I guess this piece is what we might call a found object. It’s a Xerox (remember those?) of a paper newspaper clipping dated 7-22-64 in my grandmother Mary Louise's handwriting. The streak across the illustration is most likely a crayon scribble (mine). As close to dawn as he can make it every Sunday, a 14-year-old carrier boy wheels a canvas baby buggy to his loading carrier and fills the perambulator with his heaviest load of the week—The Des Moines Sunday Registers that he must deliver. It really takes the load off—but the boy wheels the baby carriage as early as possible so nobody will see him with it. The first morning he used the unusual delivery cart somebody DID see him—a policeman, who parked his patrol car and strolled over to see why a kid was out with a baby buggy at 5 a.m. He saw—and congratulated the paper boy on his ingenuity. 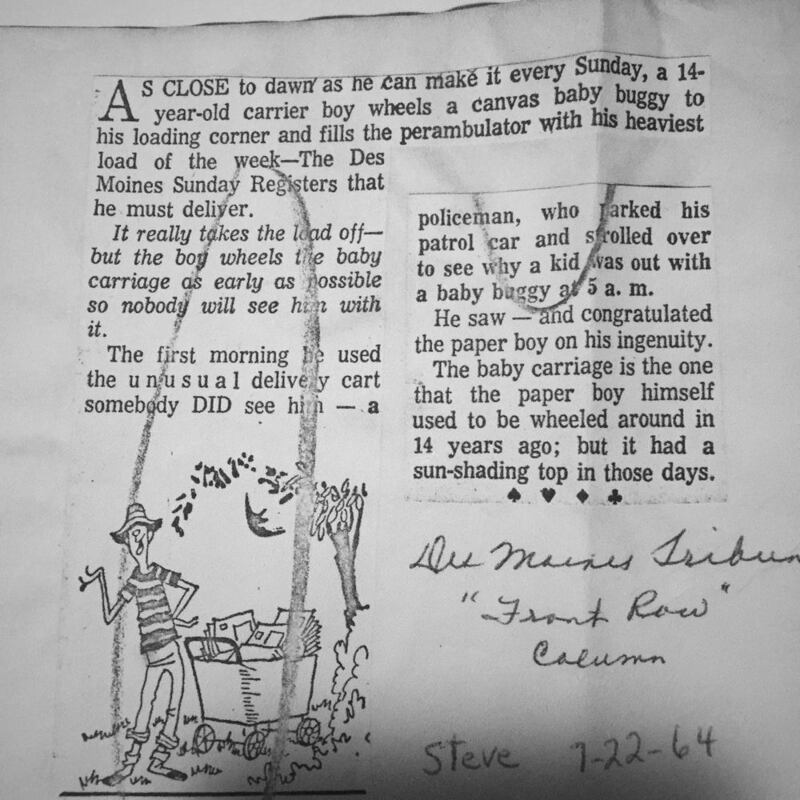 The baby carriage is the one that the paper boy himself used to be wheeled around in 14 years ago; but it had a sun-shading top in those days. Being a newspaper boy earned my dad about 7 bucks a week—not bad for a teenager in 1964. Even better than the money, though, was the freedom. He remembers lounging around pool halls, getting cornered by German Shepherds, dodging bullies, hanging out at gas stations, and riding in the district manager's Thunderbird. 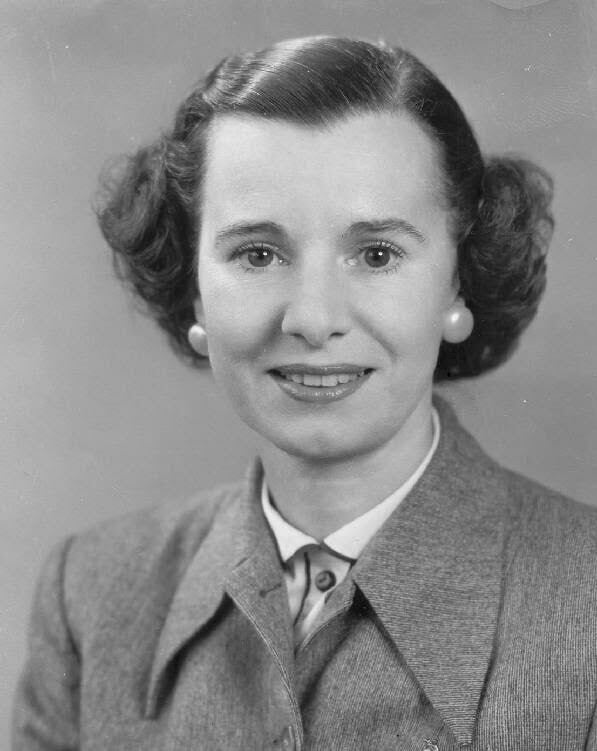 He remembers stopping by his grandmother Margaret’s apartment to get clucked over, setting off fireworks, walking past certain houses that always smelled like onions, pushing those heavy Sunday papers around in a baby buggy, and getting cherry phosphates and cokes while waiting for the bundled papers to get dropped off at the drugstore.